The types of dental procedures we have been offering have changed greatly over the past few years. Procedures that used to be not-so-common have become much more affordable and accessible to people of all ages and incomes. In addition, our new clients have started to really appreciate and value our preventive dental care strategy. Rather than going years without checkups and oral evaluations, families are understanding the importance in critical nature of visiting a dentist regularly and often. This has meant that the flow of people coming in and out of our office has increased as well. Appointments now are much more often and regulated than they were just a decade ago. But there is a one big difference. The appointments that we are scheduling now or for routine check ups and things like: tooth cleanings, X-rays, and check ups. This is because we value preventive care, and not letting small dental issues become large complex procedures. Over 10 years ago the majority of our appointments were to perform a root canal, tooth extraction, and fillings. All of these invasive and large-scale procedures have now been replaced by elective and preventive treatments. 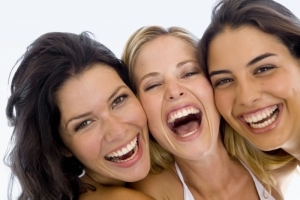 Nowadays we do a lot of wisdom teeth removal, teeth whitening, and veneers application. This is a great sign and shows that our clients are shifting from reactive to proactive. We must give ourselves the tip of the hat because it has been our philosophy to instill this kind of mentality for their families. Every year dental insurance providers are going crazy when their customers do not use their credits for oral evaluations and teeth cleaning. This is because even the best dental insurance plans know that a dollar spent in preventative checkups is worth ten dollars not spent on more complex dental procedures. We want to pass along our philosophy to our current and future clients. The goal is not only to get our patients’ teeth bright, shiny, and in great form but also to instill a passion for gum health. The gums are the overlooked champion of the mouth. They are not as bright and attractive as people’s teeth, but keeping them in good condition ensure that the rest of your mouth is in top operating condition. Gingivitis is the precursor to gum disease. But if you are in our care and follow our guidance, you should never experience any of these ailments. If you’re still skeptical or need another piece of guidance in choosing your next dentist we suggest looking for dentist reviews on the web. Finding testimonials from our current clients can be the best way to get an impression of how we work. 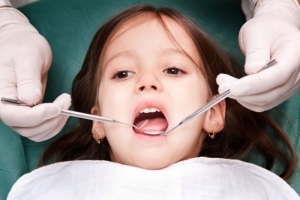 If looking for a pediatric dentist near me in Mission Viejo, then it’s a no-brainer for who you should call. There is a form at the top of this page where you can reach out to us and contact our team. 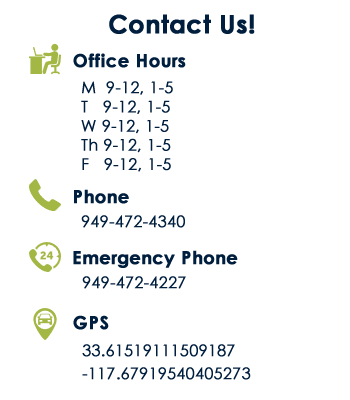 We respond to all requests, questions, and inquiries to scheduling appointments.